Dexterity, Flex, Type, Bounce, Shaft will change. when ever I'm in need of golf equipment I always check with Globalgolf 1st. The clubs I received were in a bit better condition than I expected. Under promise, over deliver! Thanks! Great grind...super soft...picks the ball off the turn with ease.....imparts a lot of spin....two skips and stops.....A soft forged feel. Great addition to the short irons. 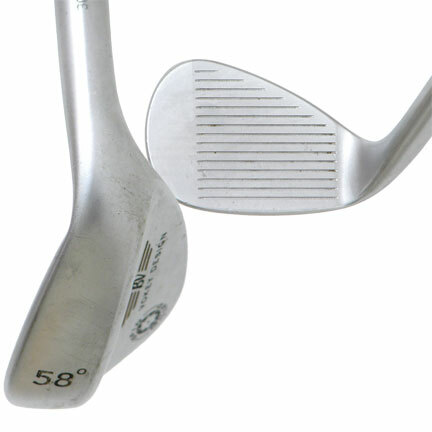 I saw this wedge at a golf shop and loved the look and feel so I went online to Global Golf to customize a 60/06. This is the best wedge I've used and feel very confident over the ball. It's forged and has a very soft feel and looks great down by the ball, making those scoring shots around the green very fun! I will continue to use Mizuno wedges and hope they keep producing them just like this one! Thank you Global Golf for always having the best equipment and option to customize length/lie/etc. Nothing feels like a mizuno is very true with this wedge. I replaced a 54 degree vokey with this wedge and haven't looked back. It is very easy to hit and has great spin on the ball. Would highly recommend giving this a try. 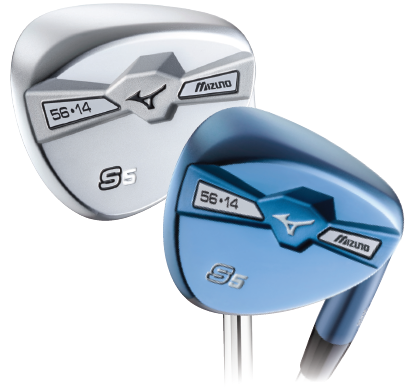 The Mizuno S5 wedge provides the feel and shot control that tour player’s demand in a new silhouette profile. The new profile shape is a tone-downed version of the ever popular teardrop shape so it’s easier to set-up to shots when players open or close the face. The wedge has a very soft feel from the Grain Flow Forging process and is also packed with massive amounts of spin stopping ability from the Quad Cut Grooves and Milled Face. The S5 wedge is available in a multitude of offerings, 25 to be exact. 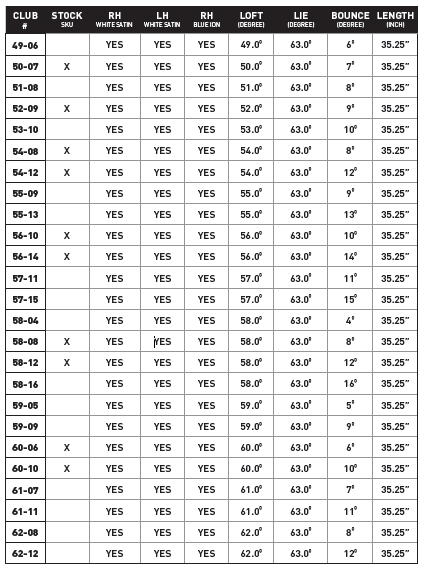 This range of options makes it possible to fill every distance gap in your bag. There’s a high and low bounce choice to choose from on all of the lofts. The high bounce has a 15% visible sole grind while the low bounce has a 25% sole grind. These bounce grinds help the wedges play from a variety of lies and conquer all turf conditions.